Like a breath of fresh air for your feet. Perfect for everything from slushy days to summer hikes. 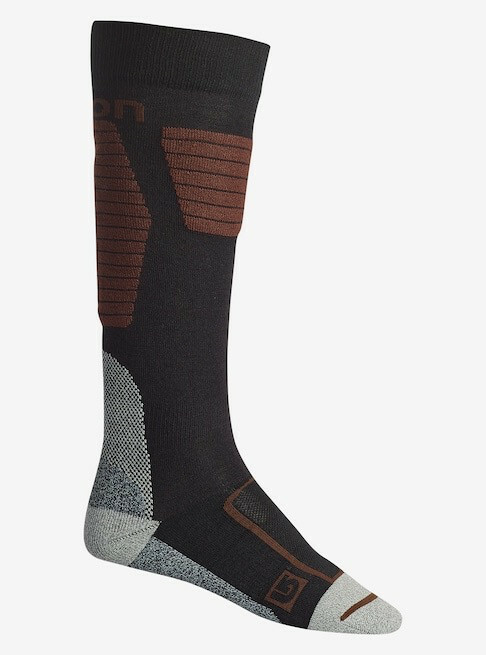 If you have ever suffered through a spring day while wearing heavyweight socks, you understand why we had to have the Burton Ultralight Wool Sock. Stretchable, breathable, and quick-drying ,it’s all-star cast of materials is lead by Merino Wool’s legendary reputation for soft, naturally insulating, and stink-fighting properties. Like a breath of fresh air for your feet, DRYRIDE venting toe panels improve airflow to keep toes drier. Strategically placed arch and ankle supports, a cushioned footbed, and an ergonomic left and right MotionFit are designed with snowboarding in mind. 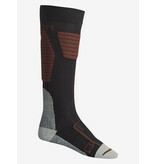 The Stay High band wraps around your calves to prevent slippage while strategic reinforcements beef up abrasion resistance in the areas where snowboard socks see the most abuse.